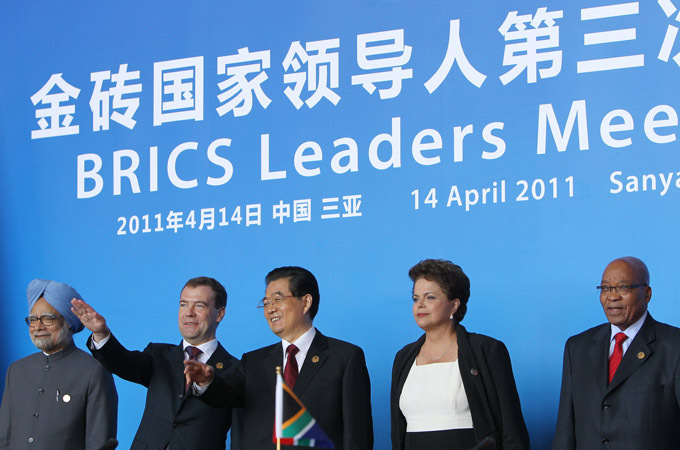 The BRICS economies are likely to be the most important source of future global growth. They represent more than a quarter of the Earth’s landmass, over 41pc of its population, almost 25pc of world GDP, and nearly half of all foreign-exchange and gold reserves. 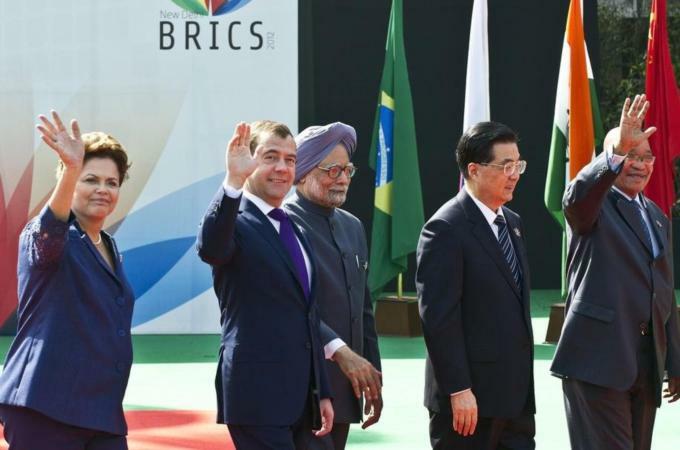 In 2030, of the world’s four largest economies, three will be BRICS countries. This has important implications for the developed countries in Europe and the US. For example, you cannot solve climate change without the BRICS. You cannot deal with global financial instability effectively without the BRICS. Even if the BRICS are unable to find common ground on a certain topic, it is likely that their views will strongly influence the attempt to find solutions. The challenge at the moment for the BRICS is to articulate a common vision that will show the rest of the world that it is a powerful alliance. One of the biggest challenges it faces is to think outside of the box and to consider new ideas and to create something that doesn’t yet exist and doesn’t fall apart as soon as a bilateral problem comes up. There are very few powerful alliances in the world without any European or American participation. In this sense the BRICS is unique. If the BRICS were able to speak with one voice on any issue in global affairs, they would immediately turn into an agenda-setter and a very powerful voice that neither the US nor Europe could ignore. They would provide a serious alternative to the established powers narrative in how to view the world. The US control of the public discourse globally is still quite strong because the emerging countries have not yet articulated an alternative vision. The BRICS were basically three countries (China, Russia and India) that were part of the Eurasian land mass plus Brazil which is geographically very far away from Eurasia. Russia, India and China have a lot of common history and have known each other for a long time meaning that, until South Africa joined, Brazil was a bit of the odd man out. Therefore the inclusion of South Africa has helped the BRICS become more of a global brand, capable of representing more continents and has also helped Brazil feel less excluded. For Brazil, Russia, India, and South Africa, the BRICS grouping serves as a forum to underscore their rising economic strength and showcase their emergence as global players. But, for China, which is already recognised as a rising world power, the BRICS offers tangible – not just symbolic – benefits. Consequently, China is seeking, for example, to bring to birth a new common development bank that can help to mobilise savings between the BRICS countries. This proposal will be discussed at the New Delhi meeting this week. The Geo-Trade Blog will follow developments on the proposed new bank. In terms of Brazil, the Brazilian Government continues to focus on its own region. There is strong acknowledgement in Brazil that it will always be part of the Americas region and that the economic and political ties with that region will always be a priority. Hence under the Rousseff and Lula administrations, the Government has sought to balance the BRICS with the US and other regional groupings such as MERCOSUR. Furthermore, China has shown itself so far to be a status quo power with respect to the UN system, it opposes enlargement of the Security Council’s permanent membership. It wishes to remain Asia’s sole country with a permanent seat – a stance that places it at odds with India. To get some idea of the magnitude of the BRICS compared with overall world exports. Trade within BRICS rose 15 fold from 2001-2010 to $230bn, a big rise of 28pc annual growth but in world terms this volume is still modest when compared with overall world exports in 2011 that amounted to $17.8trn. If geography conspires to deprive Beijing of durable trading partners and allies. China is situated in one of the toughest geopolitical neighborhoods in the world. It shares borders with Japan, India, and Russia; three major powers which have all engaged in military conflicts with China in the 20th century. It still has unresolved territorial disputes with Japan and India, and the Russians fear a horde of Chinese moving in and overwhelming the depopulated Russian far east. As natural geopolitical rivals, these countries do not make easy allies.